Every Ford truck that rolls off the lot is built Ford tough, and that’s something we’re damn proud of. 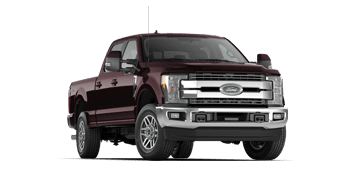 The 2019 Super Duty® however, is in a league of its own. Tough as nails, the F-Series Super Duty® is built to get the job done—no matter the job, no matter the terrain, no exceptions. 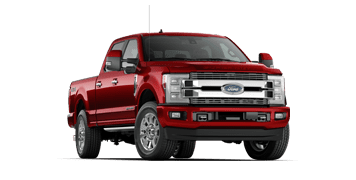 Ford’s taken the top selling truck on the market, the F-150, and built upon that already stellar foundation to present the industry’s most capable truck. 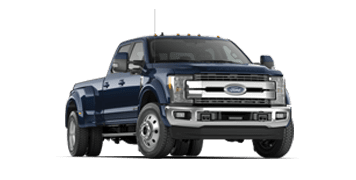 Whether you’re taking it to the jobsite, or towing a trailer through the Rockies, a 2019 Ford Super Duty® is the truck Albertans can trust. 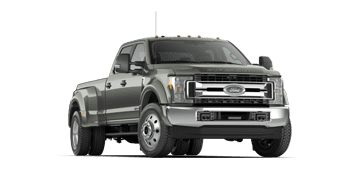 Trying to describe the exterior of the 2019 F-Series Super Duty® truck, and the word Herculean comes to mind. 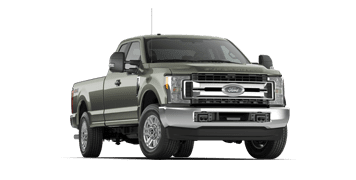 A high-strength, military-grade rust free aluminum alloy —dent and ding resistant— lightens the load from previous generations of Super Duty®. 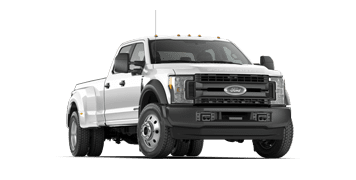 This allows Ford to utilize a high-strength, fully boxed steel frame (as well as chassis components) to make the Super Duty® durable, strong, and unyielding. Add in stronger axles, with outstanding weight-bearing ability, and you’ve got a truck that doesn’t back down from any job. You want payload? Well, the Super Duty® delivers. With over 19 million kilometres of testing, in the lab and in the real world, Ford is confident that the F-Series Super Duty® trucks are built to last. 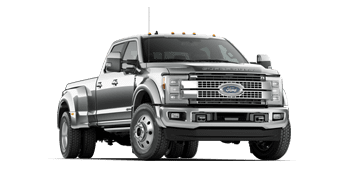 The F-Series Super Duty® trucks take performance to another level; just look at the 430 lb.-ft. of torque offered by the 6.2L flex-fuel V8 engine. Greater torque, at lower RPM, ensures you are getting exceptional mileage and fuel economy, while still having the power to accomplish anything on your to-do list—and that’s only the gas-powered engine. The Super Duty’s® 6.7L PowerStroke® Turbo Diesel makes towing a breeze, whether you’re pulling something light, or pushing the limits of the F-450’s 14,742 kgs of Gooseneck towing capacity. All that strength and you’re wondering if there’s stopping power? Yeah, the Super Duty® has it in spades, thanks to 4-wheel anti-lock brakes (including the F-450’s, which are the largest in their class). Feel confident thanks to the control of the dialled in stopping power afforded to you by the Super Duty®. Because whether you’re hauling something hefty for work, or you’ve got your trailer hitched behind you, you want to know you’re in control. The 2019 F-Series Super Duty® trucks are the smartest yet, with a host of Ford’s newest technologies providing unprecedented access to your Super Duty’s® potential. The Super Duty® lineup comes with standard AdvanceTrac®, with Roll Stability Control™, and Trailer Sway Control—on both the single and dual rear-wheel trucks. 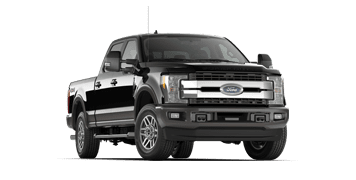 Available features, like the aforementioned Ford Connect and SYNC 3® offer you hands-free access to entertainment and navigation, while BLIS® with Cross-traffic alert provides added safety to an already rock-solid truck. A stylish XL Black-bar grille and quad-dual beam halogen headlights give the F-250 XL an intimidating look. Fully-integrated trailer brake control as well as BoxLink™ cargo management system proves the XLT’s beauty is more than skin deep. The standard Electronic Shift-On-the-Fly Transfer Case 4-Wheel-Drive System puts you in total control, at all times. A unique, Mesa Brown leather wrapped King Ranch steering wheel is only one of the many luxurious touches that sets the King Ranch apart. Premium leather seating surfaces found only on the Platinum provide a blend of brawny luxury at home on the F-250. 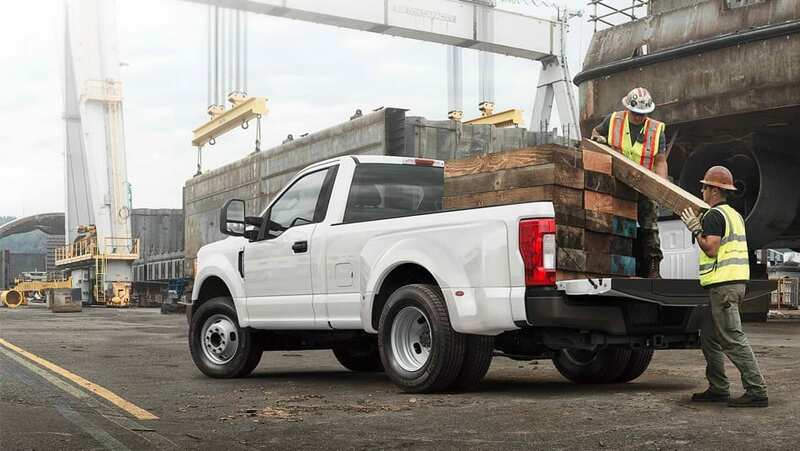 The all-powerful F-250 Limited comes with power-deployable running boards and a power Twin Panel roof. The diesel F-350 XL has a supplemental self-regulating cab heater that brings the interior temperature up. This means you’re real warm, real quick. Class-exclusive BoxLink™ cargo management offers four configurable interface plates that work in conjunction with many Ford aftermarket storage accessories. Ford SYNC® 3, reverse vehicle aid sensor, and dual-zone electronic automatic temperature control. Too much tech? No such thing. A two-tone paint job with accent-colour wheel-lip mouldings and King Ranch® badging makes it easy to distinguish this truck from the pack. We know your work doesn’t stop when the sun goes down, that’s why there’s available LED lamp lighting in the box of the F-350 Platinum. Power-folding, heated, auto-dimming LED PowerScope® trailer tow side mirrors. Game changers, simple and plain. XL Black bar-grille, Electronic Shift-On-the-Fly Transfer Case, Quad-Dual beam headlights… we could go on all day. On the inside, lockable under-seat storage. On the outside, chrome bar-grille. Inside and out, the F-450 XLT is all truck. How do you make this truck even better? How about 6-inch angular chrome running boards. Fashion, plus function. With a 6.7L 4-Valve Power Stroke® Diesel V8 providing 935 lbs.-ft. of torque, the King Ranch® is the king of trucks. Power-deployable running boards, unique leather seating, and voice-activated touchscreen navigation. Get there, in style. 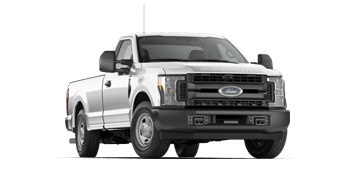 The most powerful, well-equipped truck on the market, with all of Ford’s best technology. Do we need to say more? Team Ford is proud to offer several different versions of Ford’s F-Series Super Duty®, from the F-250 to the F-450, in multiple trim levels and with multiple engine options.  If you’re interested in buying or upgrading your current truck to the toughest one on the market, contact us at Team Ford. Learn more about the Ford Super Duty® line-up of trucks at Team Ford.